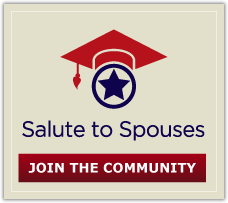 Salute To Spouses offers a variety of webinars on career training and military life. You can simply register for a webinar ahead of time (seating may be limited) and then login at the set time to participate in the webinar. We'll even send you a reminder email. Allison Perkins – An army spouse and SalutetoSpouses.com editor, Allison has been married to Sgt. First Class John Marlow for 11 years. John has spent a total of 48 months deployed to the Mideast since 2003. Allison has spent time as a journalist embedded with troops deployed to both the Pacific and Iraq. The couple temporarily moved their family to Kuwait in 2005 so that Allison could travel into Iraq and work from the frontlines. Now, John, Allison and their five children, ages 9, 8, 4, 1 and 5 months, are stationed in Hawaii. Nicole Pukay-Martin, PhD – Dr. Pukay-Martin received her doctoral degree in clinical psychology at the University of North Carolina at Chapel Hill where she specialized in couple-based interventions, psychopathology and health problems. Dr. Pukay-Martin is completing a postdoctoral fellowship in the Department of Psychology at Ryerson University. Her current research and clinical interests involve examining the interpersonal effects of PTSD and couple-based treatments for PTSD. She is part of a team investigating interpersonal factors involved with the development and maintenance of PTSD. She is also assisting with a trial of Cognitive Behavioral Conjoint Therapy for PTSD versus Prolonged Exposure among U.S. troops. PTSD continues to be a pervasive condition among veterans. The United States Department of Veterans Affairs National Center for PTSD estimates 11-20 percent of veterans of the Iraq and Afghanistan wars develop PTSD. This webinar will discuss tips for your next PCS. Tips for resumes, interviews and job searches that you can conduct before the movers pack your first box. This webinar will help military affiliated students evaluate the benefits of higher education and their career options.